A popular acid test for finding solid long-term bank stocks is to check out how they performed during the 2007-09 financial crisis. For instance, anyone tempted by the recent stellar dividend growth on offer at Bank of America might think twice when they recall the carnage inflicted on shareholders in 2008 and 2009. Conversely, investors who may have noticed New York Community Bancorp’s (NYSE: NYCB) recent rough patch may be willing to look again when they see how well the underlying business held up during the same period. In 2009 for instance, a period in which problem loans were skyrocketing across the wider banking sector, NYCB posted a non-performing loans to total loans ratio of just over 2%. That was under half the 4.89% posted by the SNL Bank & Thrift Index. 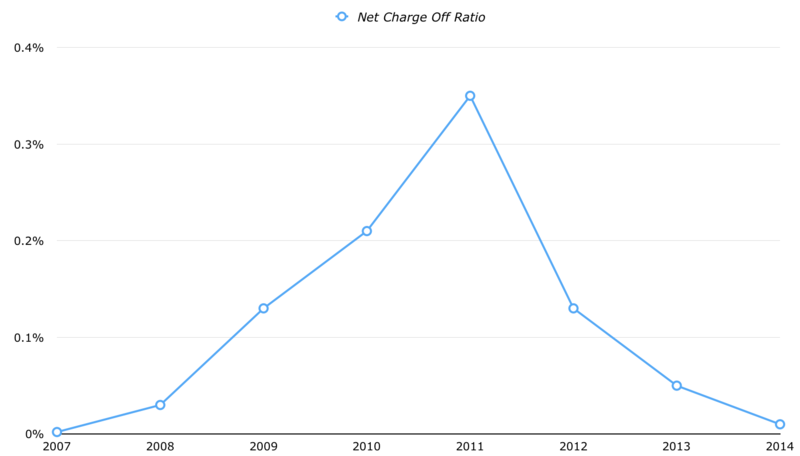 More importantly the net-charge off ratio – that is charge offs of defaulted loans, minus recoveries, as a percentage of total loans – came in at only 0.13%. The comparable figure for the SNL Bank & Thrift Index was 2.84%. In addition the bank’s efficiency ratio, which is the measure of operating expenses to revenue, is well under 50%. In other words not only is NYCB an efficiently run bank whose assets generally high quality to begin with, but it also does an exceptional job of recovering its problem loans. To understand why that is the case we need to look a bit closer at the bank’s underlying business, which is heavily weighted towards multi-family lending. As the name suggests ‘multi-family’ basically means apartment complexes as opposed to single family housing units. As it stands around 75% of the bank’s total loan book is is from multi-family loans, accounting for just over half of its $49 billion in total assets. More specifically in NYCB’s case, these multi-family complexes are typically ones that are subject to New York City rent control regulation. With that in mind the company’s unusually solid performance during the financial crisis makes a bit more sense. Not only are these assets fairly stodgy to begin with, but in recessions they remain stable since fewer folks will trade out of a rent stabilized apartment to a more expensive one in an uncertain economic environment. The upshot is that cash flow required to service the loan remains quite reliable during downturns compared to other forms of real estate. The other thing to like about New York Community’s stock is its dividend: as it stands the shares are throwing off an annual distribution of $0.68 apiece – equivalent to a yield of 5.4% based on last week’s closing share price of $12.68. So far, so good. We’ve got an efficiently run bank, high quality assets and a valuation on the stock that looks quite tempting. So what’s not to like? Well, there are a few additional points worth bearing in mind. First of all we have the growth issue. For some years now NYCB has kept its total assets steady at a shade under $50 billion. In order to do it was paying out virtually all of net earnings by way of dividends to shareholders. Since banks typically grow by making (or acquiring) new loans, and loans are assets as far as banks are concerned, then holding the balance sheet steady has meant that net income and dividends didn’t really move all that much. Indeed for years NYCB was well known for its annual $1.00 per share distribution. By the way if you’re wondering what’s so special about that $50 billion figure it represents the limit at which a bank is designated as a ‘systemically important financial institution’ (SIFI), and it is a tag that brings in a host of additional regulatory requirements and costs. In order to provide a longer term solution to this problem management decided to acquire Astoria Financial back in 2015. In preparation the annual dividend was cut from $1.00 per share to its current level of $0.68 per share. The deal, however, fell through in 2016, and without the previously higher dividend propping things up the stock price tanked. Despite remaining a high quality bank the share price is down over 25% on where it was at the start of 2014. Going forward there’s a couple of reasons to be more optimistic. Firstly, there’s the very real prospect of new legislation that would see the current $50 billion limit raised to $250 billion. If that turns out to be the case then NYCB can pursue organic growth without worrying about tripping the current SIFI limit. 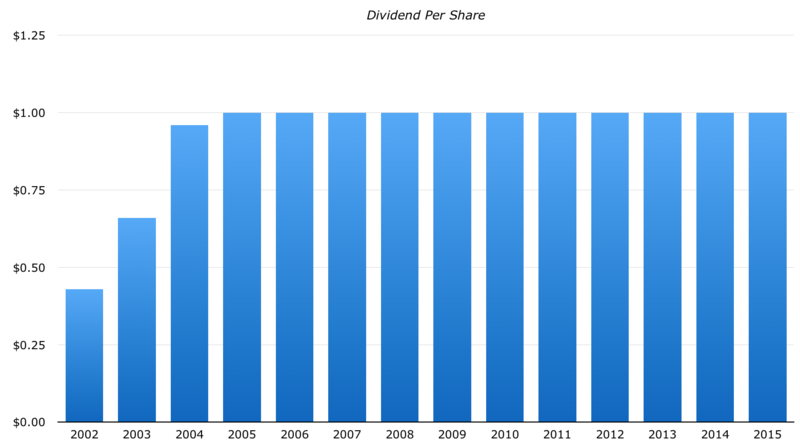 Given the current 5.4% dividend yield it wouldn’t take all that much earnings growth to generate attractive shareholder returns. There’s also the prospect of M&A activity, with NYCB being either the acquirer or the acquisition. Added together it’s enough to warrant a closer look at one of the higher quality banks on the market. China Mobile: Are The Shares As Attractive As They Look?